The Decentraland Conference Center is now incorporated! The leadership team of the Decentraland Conference Center, in consultation with our General Counsel, authorized the district’s incorporation, which has been completed. We are now incorporated in Wyoming in the USA. Author webmasterPosted on March 19, 2018 May 9, 2018 Categories NewsLeave a comment on The Decentraland Conference Center is now incorporated! 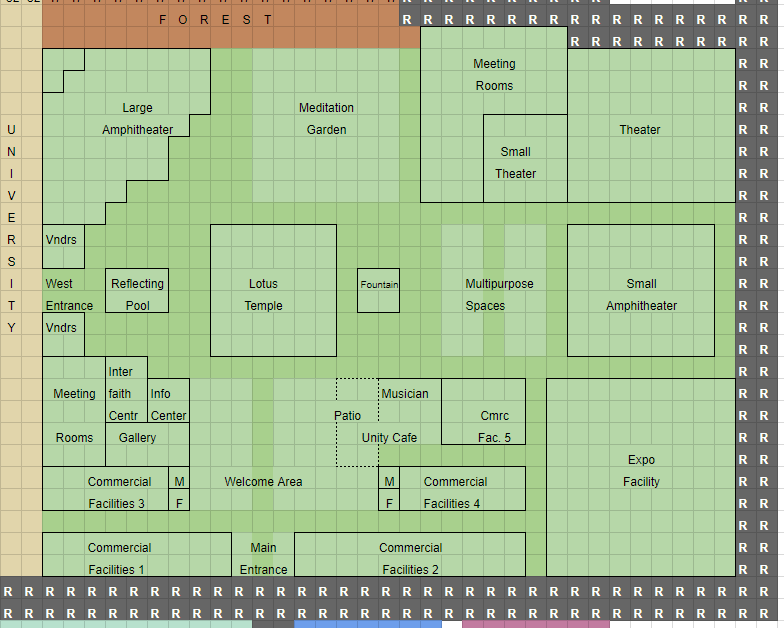 The leadership team has created a working draft of the Conference Center layout. It is expected to evolve as we see the 3D build come together, but it’s a great start…. By the deadline in December, over 60 people had contributed a total of 799 parcels of land to the Decentraland Conference Center. That gives us nearly 20 acres or 8 hectares to work with, over 240m x 330m of space, making it a very large conference center even by Terran standards. Thank you for participating! We look forward to working together to build the premier Virtual Reality conference and meeting facility. Decentraland invited people to propose themed districts in Genesis City, the 3km x 3km city at the center of Decentraland, and allowed people to contribute land parcels toward these districts. We’ve proposed a Decentraland Conference Center.